If you’re thinking about moving to Redmond, Washington, you probably know a few things already. For example, it’s the home of Microsoft. And it’s also home to Nintendo. Those are some pretty hefty tech shops. Being so close to Seattle, that’s not necessarily surprising, but there’s more to this town than that. Here are 10 facts about Redmond that you’ll learn more about once you’ve settled in and started enjoying the mild climate and outdoor-centric community. #5: It’s the Bicycle Capital of the Northwest! Outdoor enthusiasts of all ages love this city. The largest part of the population is between the ages of 25 and 44, with an average of about 35. But ages 45 and up make a close second. That’s why Niche.com ranks Redmond as one of the best towns in Washington in which to retire. Nearly 10 percent of residents are over 65, and it ranks high on access to doctors, recreation, restaurants and more. Living in Redmond doesn’t come cheap, but few towns in the Pacific Northwest are, at least not ones that have as much to offer. Compared to the rest of the country, Spirling’s Best Places says this town’s cost of living is 68.6 percent higher. The median home price is about $505,200. If the cost of living didn’t make you flinch, then you’ll love the unemployment rate. Spirling’s says that it’s about half that of the national average – 3.40 percent. Job growth is also a good thing, as jobs in the area have increased by about 2.64 percent. 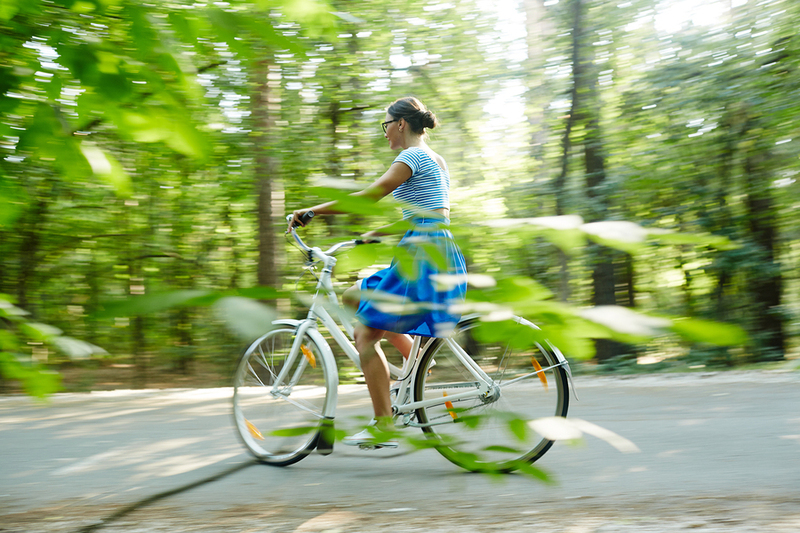 Fast and competitive or slow meandering, you’ve got plenty of bicycling options. If you’ve ever wondered how Redmond got its start, look no further than the logging. When pioneers, Warren Wentworth Perrigo and Captain Luke McRedmond, first started clearing the land in the late 1800s, there was no equipment made that could handle it. The abundance of giant trees led to what would become the town’s “first economic boom,” according to Experience Redmond. To cross a body of water, typically you’d float on a boat or take a bridge. In Redmond, you do both at the same time. The Evergreen Point Floating Bridge, also known as the 520 Bridge, is the longest floating bridge in the world. It gets its buoyancy from “water-tight concrete pontoons,” says the Washington State Department of Transportation. Washington State is the floating bridge capital of the world. Bustin’ Loose (1981) with Richard Pryor was partly filmed in Redmond. So was From Dusk till Dawn (1996), the TV series Northern Exposure and Donkey Kong Country: Exposed (1994). See more films and TV shows filmed in Redmond at IMDB. If you’re looking for culture, you’ll find it here. There’s wine tasting/wine country, poetry readings, theater, music, performance art in the summer, says Experience Redmond. You’ll find art galleries, the Redmond Performing Arts Center, Vala Art Center, Eastside Symphony, and the SecondStory Repertory Theater, which features musicals and other productions year-round. The original Star Trek’s Chief Engineer, Montgomery “Scotty” Scott – James Doohan – might have been born in Vancouver, British Columbia. But after his Star Trek years, he lived in Redmond, Washington until he boldly went on in 2005. If you’re moving, you’ll need someone to handle your household with care, but without breaking the bank. That’s what On the Go Moving and Storage is all about. Started in Bellevue in 2006, and now serving Seattle and the surrounding area, we have many years of combined experience in the industry. We’ve earned a reputation for putting you – the customer – first. If you need professional and courteous moving or storage services, request a quote today.